We are a New York city based importer of Spanish & South American Wines and also broker for a few California wines with Latin roots. 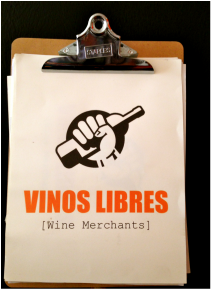 We believe in Honest Wines. El Jefe [grande] is here. Single vineyard, unoaked tempranillo fermented in traditional cement tanks for purity of fruit and silky tannins. 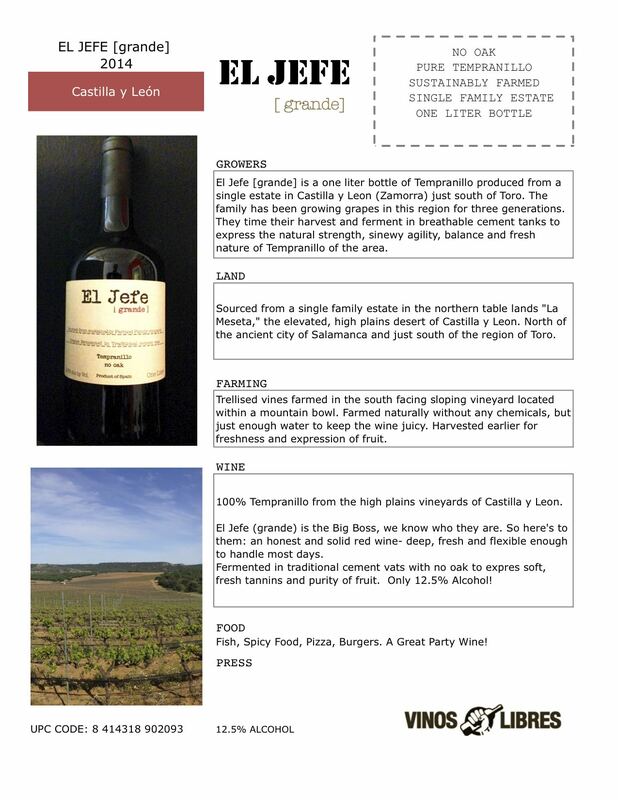 We are amazed by the Huge success of EL JEFE [grande] It seems that lower alcohol and pure fresh Tempranillo are a magic formula. This is in many ways an anti-establishment wine - A Family run operation making wines the traditional way, in old neutral cement tanks - No big Oak here, No big Tannins and No big Press - a people's wine for everyday.